It is one thing to experience God taking our mistakes and blessing others through them. It is quite another when we are the ones who receive that blessing. Jacob, at the request of his mother Rebekah, tricked his father into giving him the first blessing. In those days, they did not use wills. I suspect the majority of people could not read or write, so written documents were not very useful. Instead, they had ritual ceremonies where land and possessions were bequeathed to others by spoken word. That is why this blessing was so important. In our culture, we may not be quick to line up to hear kind words spoken about us from our parents or grandparents, but most will not miss out on a reading of the will if they think they may get something out of it. I think the ancient Hebrews had a more balanced approach to this subject. They understood that life was more than property and that spoken words carried the power of creation itself. So this “blessing” was a sacred moment… which means that what Jacob did here was not just deceptive, it was sacrilegious! This was like robbing the offering plate as it was passed to you. So the question is, what is God, who sees everything, going to do about this? The answer: He blessed Jacob. He gave Jacob exactly what he was after. Later, God would give Jacob what he truly needed, but it would be after he had squandered half of his life in and out of deceptions. Through it all though Jacob would live a life recognizing that, although He had some major struggles, He always ended up getting blessed more than he deserved. His life would come to a culmination point, wrestling with the angel of the LORD Himself. When the angel of the LORD asked to be let go, Jacob said: “I will not let you go unless you bless me.” Even with God Himself, Jacob seeks after undeserved blessing, and even here God gives it to him. Why is this the “culmination” of Jacob’s life? Because here, for the first time, Jacob is finally asking the right person for the blessing. Instead of wheeling and dealing it from those around him, he finally goes straight to God. God unlike you and I, delights in giving out undeserved blessing. He calls it grace. It’s His specialty. Jesus celebrated with his disciples, that they should receive the blessing of heavenly sight and understanding, when the Jewish rulers and temple leaders of the day were denied it. 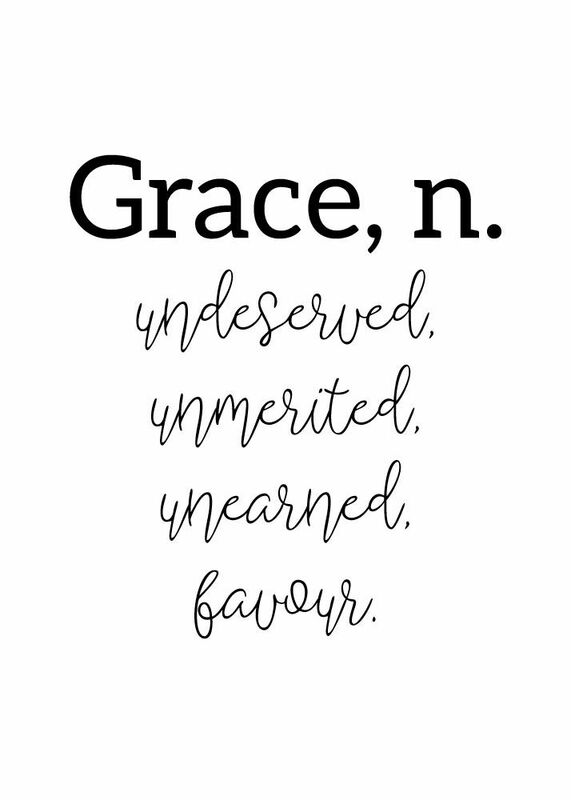 They, and we, receive that blessing from God, that grace, not because we are more worthy than others, but precisely because we are unworthy, but we are willing to ask anyway. That is one of the hard things to understand about God, because it runs so contrary to our own self-perception and pride. God sometimes gives out blessing as a surprise, to those who do not seek it out. Most of the time though, God gives out blessing to those who do not deserve it, but are brave enough, ambitious enough, or humble enough, to ask anyway. Humility does not keep us from asking God. It merely keeps us asking for blessing that we will actually put to good use rather than let go to waste. Yet even this is not the primary concern of the God who can create simply by speaking and who holds all the wealth of creation at His disposal. No, what God really wants from his blessed, undeserving children, is simply gratitude. What undeserved blessing has God given you today? How are you showing gratitude for that blessing?